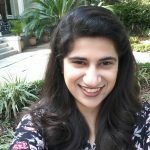 Mehr Manzoor is a Fulbright scholar from Pakistan and a Ph.D. student at Tulane University. She is the research director at Women in Global Heath and a member of the Global Health Workforce Network’s Gender Equity Hub co-chaired by WGH and WHO. Mehr’s research focuses on gender equality within global health leadership and women’s leadership in global health. The Emerging Voices for Global Health (EV4GH) program started in 2010 as an innovative initiative by the Institute of Tropical Medicine in Antwerp (ITM), with Prof. Wim Van Damme as its founding father. Recognizing the need for young researchers and changemakers especially from the Global South, to have a (greater) voice and an opportunity to present their work, this program was founded as a blended training program with a distance learning component and a face-to-face training programme to empower these young voices, at the time in the run-up to the first global Health Systems Research symposium in Montreux, Switzerland. This year, the EV venture was already organized for the 6th time, and linked to the HSR symposium in Liverpool. By now the EV programme (and network) has evolved into a multi-partner initiative, with IPH Bangalore (the EV secretariat) in the lead, together with an EV governance team comprising elected representatives from all WHO regions, all of them also EV alumni. Since 2015, EV4GH is also a Thematic Working Group (TWG) of Health Systems Global. It is quite commendable to see that the EV4GH program brings together young researchers, policymakers and other change agents from diverse backgrounds and regions, and ensures an equal mix of male and female participants (and this already from the very beginning). This year’s cohort consisted of 38 Emerging Voices (known as EVs), who were competitively selected from a pool of over 500 applicants, all with different levels of understanding of ways in which power and privilege are navigated based on their gender identities and regions. Although most of us were residents of low and middle income countries, only some were residing in the country of their residence at the time of the program and it is important to recognize this privilege. Sadly, some of the selected EVs also didn’t make it to Liverpool, due to visa issues, showcasing that the privilege to attend a global health symposium is for many researchers in the Global South still anything but guaranteed, even if selected by a programme like EV4GH. Despite the fact that the EV4GH program is gender balanced and provides equal opportunities regardless of gender, race or region, quite a few gender norms “emerged” during the program. These norms manifest themselves in conscious or unconscious ways and are often subtle to an extent that they can be overlooked, ignored or be gender blind. These norms are to some extent also a result of who leads the program and sets the agenda. And it is important to pay attention to them as they shape the experiences of participants and set the overall direction of the program. Going forward as the program is gaining recognition and expanding its reach, it is important to reflect on the EV4GH training program with a gender lens in order to disrupt the (often implicit) gender norms, biases, and stereotypes as well their consequences. In this article, we present some of our reflections based on our tacit experiences as well as the views of some of our colleagues with whom we had detailed conversations on the topic. It is important to acknowledge that while gender is a social construct and has a spectrum of dimensions based on body, identity and expression, at the EV4GH program we explored gender in a binary form (male and female). The face-to-face (F2F) component took place in Liverpool from 28th September to 13th October. The six thematic themes of the F2F program were community health systems, private sector engagement, human resources for health, leaving no one behind, global health governance/SDGs/multisectoral action, and fragile and conflict affected states, obviously to a great extent inspired by the (4) overall themes of the ‘big’ symposium. Unlike during the distance stage, gender was thus not an explicit ‘theme of the day’. As part of the programme, EVs were exposed to so called “big talks” around each of the themes during the program and it was observed that the majority of the speakers of big talks were men (4 out of 6, or 5 out of 7, depending on how we count). We wonder if this was by design or because (some) women speakers had declined the offer. From reactions of the EV governance team (who put the program together), it seemed clear that ensuring a gender balance among the Big Talks had not explicitly been considered. Interestingly, one of the female ‘Big Talk’ speakers also didn’t feel entirely comfortable with the label ‘Big Talk’. Male speakers didn’t show such unease. As this is the year 2018, and given the very diverse group of participants, gender was a cross cutting theme across these thematic groups. Still, not including it as a standalone theme leads to the assumption that it would be (explicitly) analysed, elsewhere in the program. Indeed, research shows that global health systems are not gender neutral. A session on gender analysis in health systems research was foreseen (see below), but unfortunately, it came rather late in the program. Many discussions during (earlier days of) the program were gender blind until gender was explicitly highlighted or brought to the forefront. Often it would be the lead author who took the lead to bring a gender lens to the agenda, thus “disrupting” the normal discussions; in a few instances also other female EVs. For example, the debate on whether to include community health worker (CHW) programs into formal health systems remained largely ignorant of the need to use a gender lens – most CHWs are women who are poorly trained, often working with limited resources, with most being underpaid or unpaid – until it was raised by co-authors (female EVs). Disrupting these conversations in this way played an important role in raising awareness among EVs: it enabled many EVs to think more critically about gender issues, even when they were not raised and analysed explicitly. Gender norms and behaviours also manifest themselves in classroom settings. For example, when we talked about interactions with decision makers, presidents, ministers or doctors in our role plays, we often automatically pictured men. We also observed that (at least some of) our male colleagues at times dominated conversations and took greater air time. Often the question is not about representation of females, but that female voices are not heard or that they are interrupted or silenced. Especially during fishbowl sessions we observed that men volunteered to enter conversations more often, while women in the bowl gave up their seats more often. Men also have greater confidence and volunteer to speak up even if they are not well-versed with the topic whereas women often need to know more about a topic before they speak up. At several times we held ourselves back, and had to google a point to make sure that what we said made sense; by the time we had done so, someone else in the room had already raised it or the discussion had moved on. Another interesting observation was that if you are the only person bringing attention to gender issues in the room, you are labelled as the ‘gender’ person. Moving forward, it is important to be aware that the discussions on gender, power and privilege are for everyone, and should not fall on the shoulders of just one person. Overcoming such norms requires men to engage as allies, and (co-)own the conversations to highlight these important issues. Only when we engage in meaningful ways, we will find solutions and move forward together. We feel that the future generation of health systems researchers and policy makers needs tools for using a gender lens to guide evidence based policy – and thus, it should be an important component of the EV4GH training. While we acknowledge that by the end of the EV4GH program, EVs did have a greater awareness of gender by discussing different elements of gender parity, the state of gender and equity in health workforce, and how to do gender in health systems research during the program discussions, it was only a beginning. We did not go far enough to fully unpack discourses on positionality, intersectionality, power relations, and gender based violence to name just a few. A 1.5 hour session dedicated to gender training cannot be enough to discuss and unpack these important discourses. *We recommend gender as an overall theme for future EV4GH ventures. Conversations of gender are for everyone, not just women, and it is important to engage men, women and other identities in constructive dialogues. The EV4GH program should create an enabling environment and spaces where systems of gender, power and privilege, including racism, gender injustice, and disability are applied in a creative way. Decolonial and intersectionality lenses should be discussed and knowledge on these discourses imparted to the next cadre of health systems thinkers. *While we appreciated the gender balance of the team of facilitators, and acknowledge and appreciate the fact that facilitation is being done on a volunteer basis, it is also important to recognize that facilitation/coaching is a great platform for learning new skills, networking, and gaining recognition among health systems think tanks. Therefore, we propose that facilitators be rotated in every cycle of the EV4GH program, to make room for new people, to allow fresh perspectives and ideas to come forward, and to provide equal opportunities to men and women to facilitate, including being lead facilitators. We understand that rotation of facilitators (especially bringing in new facilitators from the previous EV cohort) is always an aim of the EV venture, but we feel it should be a more explicit concern. *A component on soft skills training should be incorporated within the EV4GH program, where men, women and all gender identities learn to recognize their own power and privilege within the room, and create room for others. These include communication skills, waiting for others to finish their point before saying something, raising a hand to enter a conversation, and being good listeners. Also, providing confidence building exercises that enable EVs to speak up and raise their voice, even if no one else is raising it. Because every voice in the room matters. At some point in the programme, Wim Van Damme (aka the EV4GH programme’s ‘Gandalf’) gave some wise feedback on this, based on his long experience in public health. But this sort of soft skills training probably requires an explicit session (or even two). We look forward to engaging with EV4GH program as alumni and to our working together to creating lasting change in the SDG health era. 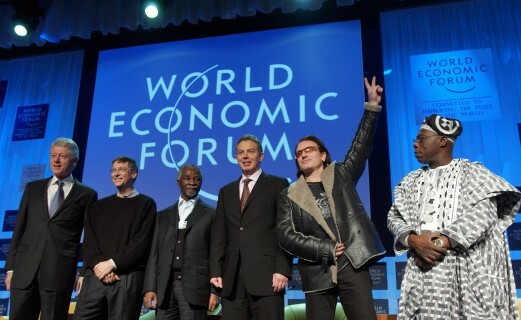 This is a very insightful reflection to the EV4GH 2008 from the gender lens. Three recommendations are excellent. It would be interesting to learn further on practical measures to turn those recommendation into reality for the future EV cohorts.